I decided the flowers from my Corporation needed to be tested or I couldn’t continue working for the Corporation. So I bought flower from my dispensary and drove it to a third party lab. The lab sent email saying that it passed, but that did not allay my fears. I called and spoke with the lab owner. I told him that this was expensive, high quality “medical” marijuana from a caregiver who said that it does not have any harmful contaminants. Was that assertion was really true, I asked. He explained that Massachusetts only tests for 19 contaminants, while Nevada tests for 200. He told me that the dispensaries ordered him to not test for more toxins, or they won’t give him business. It sounded like he was being bullied. I told him that, and he agreed. 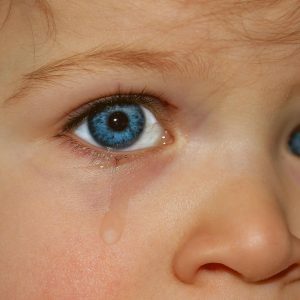 It was undeniable that my Corporation’s products were toxic. I had seen the mold on the flower in the cultivation center and in the dispensary. Multiple co-workers had seen flower stalks being dunked in barrels of hydrogen peroxide at the cultivation center. The Corporation told us budtenders that the application of hydrogen peroxide to flower was an “industry standard.” I observed the escalating ill effects in patients and co-workers and experienced them myself. Realizing the sham, the magnitude of the harm and deception, I vowed never to set foot in that “medical” marijuana dispensary again. 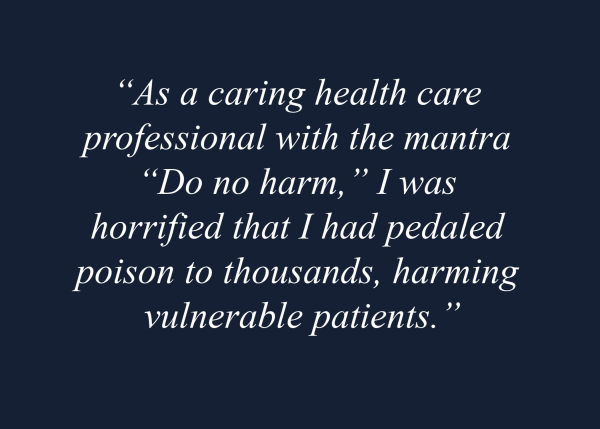 As a caring health care professional with the mantra “Do no harm,” I was horrified that I had pedaled poison to thousands, harming vulnerable patients. I wanted to alert the state authorities, to stop the harm to patients. Scared for myself, I immediately ceased consuming marijuana. It was a painful detoxification process, but my physical and mental health began to improve. 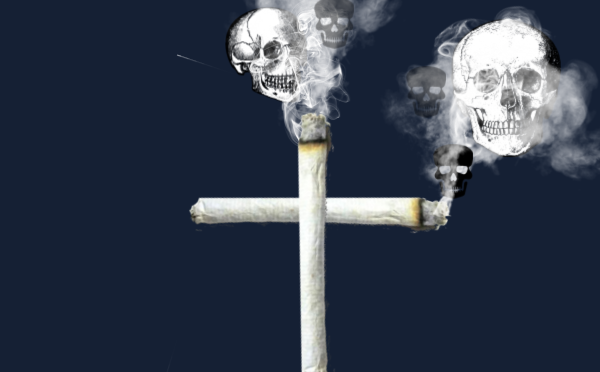 My first attempt to quit, though, didn’t last and I lapsed back into using marijuana a few times. I wrote an email to the state Medical Marijuana Program informing them about toxic marijuana production, but received no response. I started to ponder the litany of physical symptoms I observed in myself and other patients. 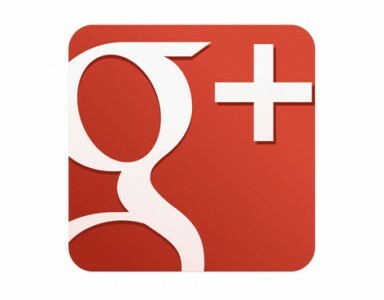 These problems included GI and neurological issues, and mental symptoms of worsening mood and instability. I feared heavy metals most due to their adverse effects and their propensity to stay in the body long time. Heavy metal poisoning often results in serious debilitating diseases such as cancer. The results of my test revealed heavy metal poisoning: 3x the norm for lead, high in cadmium, nickel and elevated in thallium. Marijuana grown using cheap low-grade hydroponic nutrients, fertilizers and pesticides increases the amount of heavy metals present when made into BHO concentrates. It was a bad decision on my part to switch from flower to dabs. When I was dabbing, I ingested 10x more toxicity than I did when I only was ingesting flower. Before I could be tested for heavy metals, I found relief by taking hot showers multiple times a day. Had I not received the diagnosis of heavy metal poisoning, medical professionals would have diagnosed me with CHS (Cannabis Hyperemesis Syndrome) due my mental and physical symptoms. The only treatment for CHS is cessation of marijuana and hot baths and showers. Once I received the diagnosis of heavy metal poisoning, I emailed the Department of Public Health’s Medical Marijuana Program. They did not respond. My Corporation asked the Department of Public Health for an extension to a granted waiver from pesticides and heavy metals in finished marijuana products. Despite research showing that “medical” marijuana often contains heavy metals and pesticides which are dangerous to ingest, the health department granted their wish. The CCC (Cannabis Control Commission) heard testimony about practices of moldy plants being dunked in caustic hydrogen peroxide and inadequate testing regulations at a “listening” session. Despite what they heard, they did not make any changes at all to testing regulations for recreational marijuana. At first, I still thought the problems with “medical” marijuana were only with my dispensary. However, I found a Smithsonian Magazine article explaining the toxins and contaminants in today’s marijuana, heavy metals and fungus. 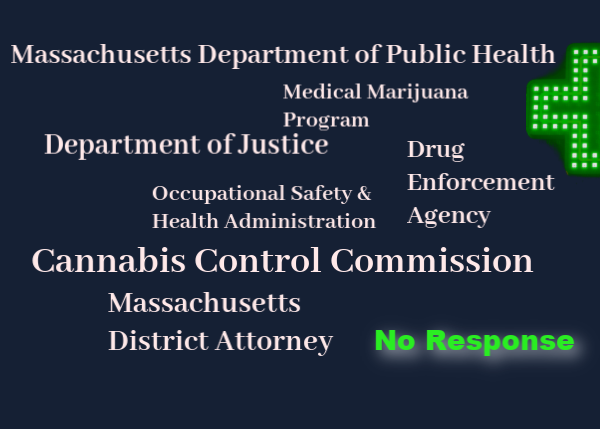 Over the next year and a half, I phoned, wrote letters and emailed the following: MA Department of Public Health, the Cannabis Control Commission, my senator, my state representative, President of the Senate, the Governor, the DEA, the MA Attorney General, the US MA District Attorney and US Attorney General Jeff Sessions. I received no response whatsoever, or was referred back to the Medical Marijuana Program. When I contacted state authorities, I also wrote to the Boston Globe and other mainstream press. They chose not to write about it. Only one pro-cannabis journalist published an online article about my experience. The Occupational Safety and Health Administration was the only entity that responded. The first report from OSHA was my Corporation’s investigation of itself. I appealed that “investigation” and a year later OSHA conducted its own lame investigation, taking air samples and swabbing the counters of the dispensary. OSHA did not bother to go inside the cultivation center where the moldy bud originated. When I first told state authorities about toxic, contaminated marijuana harming patients, I thought its inadequate testing was an oversight. Certainly the Commonwealth of Massachusetts, known for stringent regulation, would look into the problem, or at least give me a response. I had no idea that Massachusetts was complacent, incompetent and corrupt with regards to the “medical” marijuana industry. 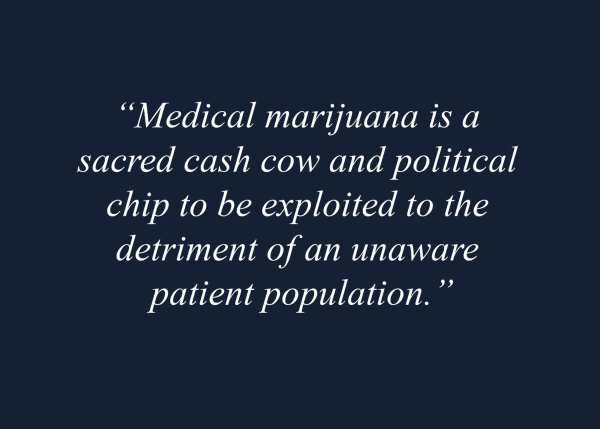 Medical marijuana is a sacred cash cow and political chip to be exploited to the detriment of an unaware patient population. Certainly I thought that the federal government would take an interest. I learned that the feds are aware of the unsafe practices and health hazards of “medical” marijuana, but choose not to get involved, not stray into that political mine field. The Marijuana Emperor has successfully duped the majority of the population. Read the conclusion in Part 5.